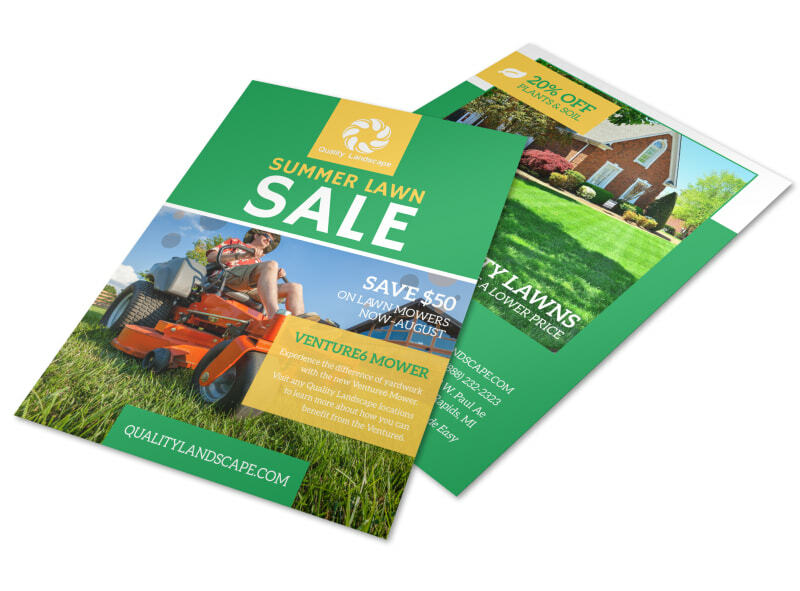 Customize our Lawn Mower Summer Offer Flyer Template and more! Advertise upcoming specials on lawn equipment with this flyer that runs down the 411 and gives potential customers all the deets. Provide all the info customers need with custom text, and then dress up your flyer with images and graphics. Begin the design process with just a few keystrokes today.